Protect and defend children’s rights! Whoever becomes humble like this child is the greatest in the kin(g)dom of heaven. Whoever welcomes one such child in my name welcomes me. The National Council of Churches in the Philippines (NCCP) firmly believes in the inherent worth and dignity of children. They are God’s gift and are valuable members of the human family. Thus, the NCCP upholds its commitment in protecting and defending children at all costs. In this current state and time, children continue to be one of the most vulnerable sectors in the society. Massive poverty and the high inflation rate have intensified children’s vulnerability to hunger; inaccessibility to basic services like health, housing, and education; violence and exploitation. Moreover, the government’s implementation of the war on drugs has severely affected the lives of countless number of poor people especially children. Children have not only become orphans when their parents were killed but have also become victims as “collateral damage” in this war that denies them their right to life and security. Human rights violations including extrajudicial killings in the Philippines continue to heighten and have denigrated the lives of the people, let alone the most vulnerable – the women, elderly and most especially the children. Militarization in the countryside has brought about massive evacuation of families, and intensified their susceptibility to abuse. In Mindanao for example, one of the most vulnerable children are the Lumad. Sadly, instead of uplifting their conditions, they are forced out of their schools and communities through threat, harassment, killings and rampant militarization. Due to the intensifying attacks in their communities, the setting up of “Bakwit (evacuees) Schools” has almost become the norm so that children can continue their learning in a more ‘peaceful’ venue like evacuation centers, universities, schools and churches. 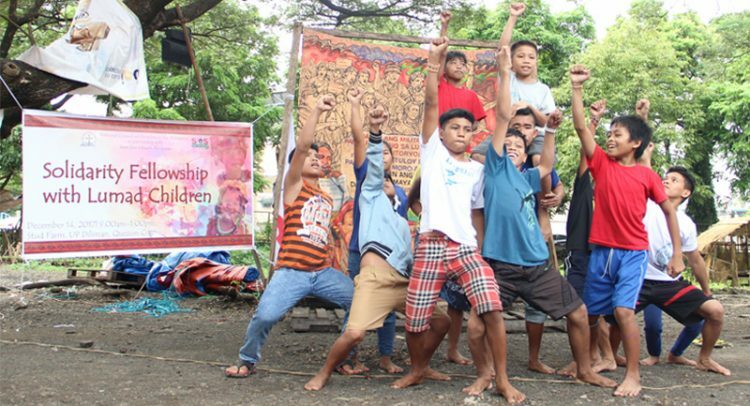 The United Church of Christ in the Philippines and the Iglesia Filipina Independiente have opened their churches and facilities to the Lumad children. This is a concrete expression of ‘welcoming children’ and being ‘sanctuaries’ to those who are in need. As Jesus welcomed and blessed the little children in his midst, may we continue to extend our solidarity with them through hospitality and be ‘sanctuaries’ to the homeless, deprived and marginalized sectors in our society. 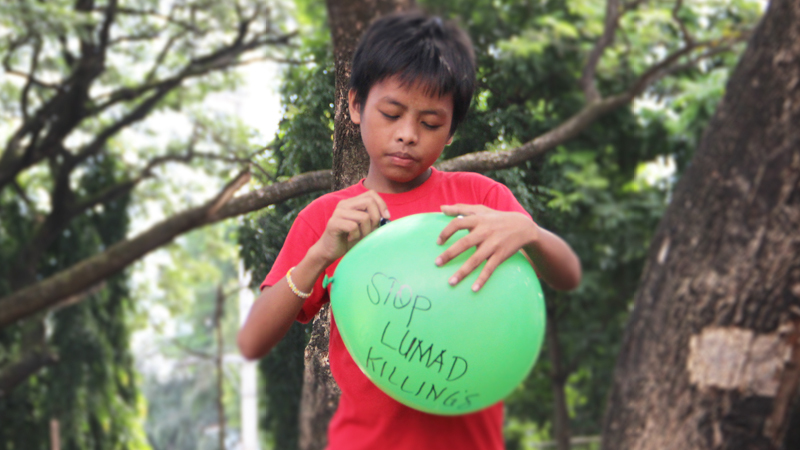 The NCCP is in solidarity with the Lumad children in their struggle for land and rights. We join their call to end militarization in Mindanao and save Lumad schools. As we commemorate National Children’s Month, let us reflect and reason together as a community of faith on how to address the root-causes of poverty, exploitation and all forms of abuse affecting mostly children. We call for the Philippine government and the National Democratic Front of the Philippines to resume peace talks and determine socio-economic policies that will address children’s rights and welfare. As an ecumenical community, let us strengthen our efforts to create a friendlier world for our children, where children are valued and nurtured, and their rights respected and upheld. PDF Download: Protect and defend children’s rights! Take away the stone of stigma!